Submissions are currently closed for The Big Muddy Film Festival. Housed within the Cinema & Photography Department at Southern Illinois University Carbondale, The Big Muddy Film Festival celebrates the innovative works of emerging and established filmmakers and media artists. The Big Muddy is is also dedicated to encouraging grassroots filmmaking in local communities, and to bringing independent film to the rural midwest. In its 41th year, Big Muddy is among the oldest student-organized film festivals in the United States has become one of the best-respected, wholly independent, community-focused film festivals. The Big Muddy Film Festival is looking for films of any style, length, content, and genre. Each work submitted should be accompanied by an entry form and fee. Please submit only one film for each entry form, and include only one film per screener DVD. Multiple submissions are welcome. If you wish to submit more than one film, please use separate entry forms and screener DVDs. Works must be in English or with English subtitles. Works that had been previously submitted to The Big Muddy Film Festival are not eligible. Please do not mail films in fiber filled envelopes. Remember to label your film(s) with the FilmFreeway ID, director/producer’s names, film title, and running time. The Festival provides cash awards to the best works in competition in the categories of experimental, documentary, narrative, and animation. The program is juried by three artists or critics of national and international recognition. Past Jurors have included Barbara Hammer, Naomi Uman, Jim Jarmusch, Kerry Laitala, James Benning, Tomonari Nishikawa, Anna Margarita Albelo, Ben Kalina and Alrick Brown. A panel of local activists awards The John Michaels Memorial Film Award, which honors films as activism that address themes of peace, justice, community action, human rights, and environmental conservation. Also awarded is the Mike Covell Award, named after the man who helped found The Big Muddy Film Festival. This award honors filmmaking in the Southern Illinois region and is awarded to an alumni of Southern Illinois University-Carbondale. If a notable alumni work is not selected into the festival, then it will be awarded to an alumni of any Southern Illinois region college or university. Submissions are currently closed for The Little Muddy Film and Media Festival. Each year, Southern Illinois University-Carbondale hosts the annual Little Muddy Film and Media Festival celebrating the work of both the undergraduate and graduate students. SIU Carbondale students are encouraged to submit their short films or photography to this year’s festival. Submission is free and the work presented will be judged by SIU faculty jurors for the chance to win prizes. To enter any work or learn more about the festival, click here or visit our Film Freeway page. The Little Muddy Film and Media Festival is also looking for films of any style, length, content, and genre. 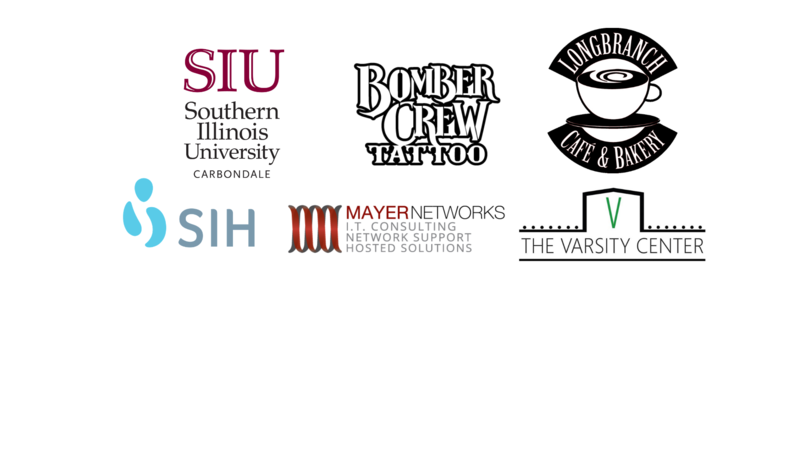 However, you MUST be a student at Southern Illinois University – Carbondale in order to qualify for this festival. Any submissions by non-SIU students will be disqualified. Please include your name in your profile so we can verify that you are a student. Also, please provide an SIU email address as well. Anyone without an siu.edu address will not be accepted into the festival. Lastly, work submitted must not be RSO affiliated!